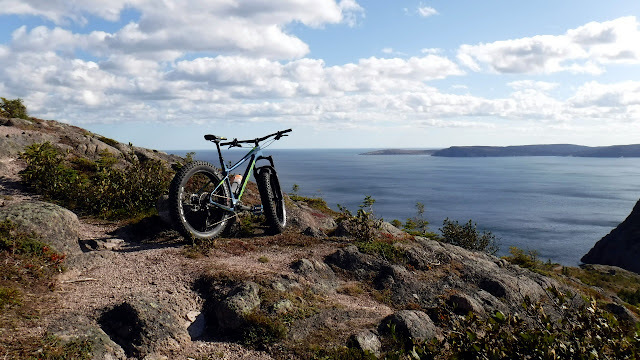 As the leaves fall and the puddles start to freeze so ends the summer fatbiking season and the Trail Bike portion of Fatbike Republic’s review of the 2018 Ithaqua 2S. 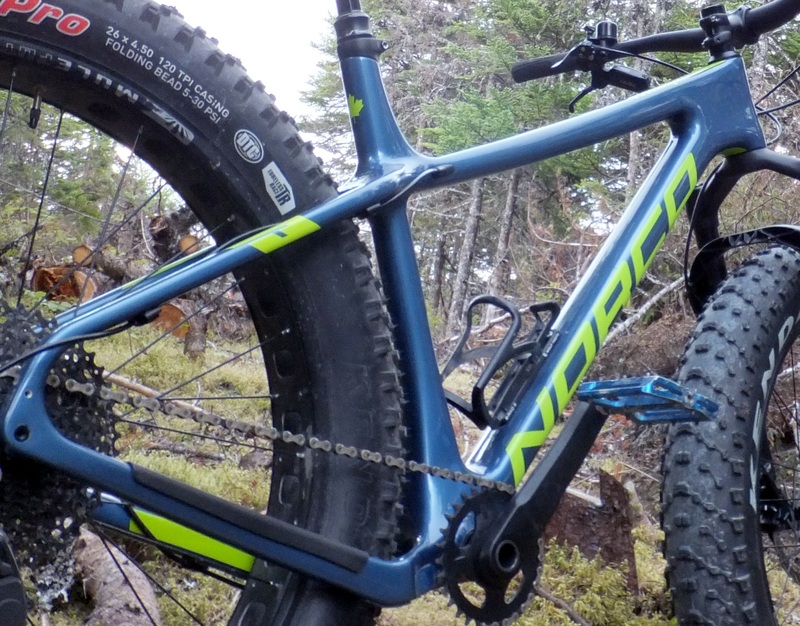 Having been intimately familiar with Norco’s other fat beasts (Bigfoot and Sasquatch), when the opportunity arose to swing a leg over Norcos’ new suspension augmented carbon beast I jumped at the chance to make some room in the stable. 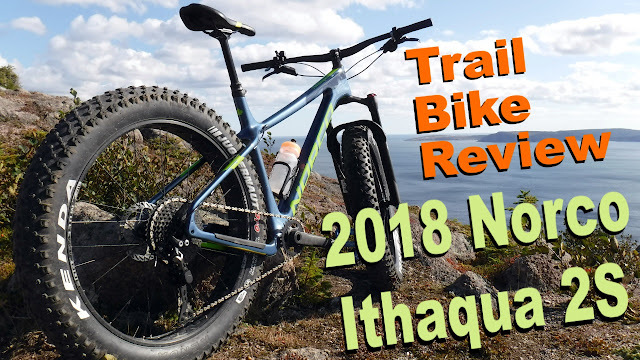 After several months and lots of trail time, I have some thoughts on how the 2018 Ithaqua 2S fares as trail conquering machine. At the heart of this blue beast is its drop dead gorgeous chassis. It sports a 197 mm rear end that provides plenty of space for fat rubber, a 31.6 mm seat tube and a tapered head that allows it to run a suspension fork. Power Chassis – Increased stiffness from the head tube to rear axle that ensures the most efficient ride possible through minimizing flex and maximizing power transfer. GIZMO - internal cable routing that keeps out water and debris, prevents rattling, and allows for easy setup and maintenance. SmoothCore – A process that maintains precision control over the inner surface of the frame, which is critical at complicated, high-stress junctures like the head tube and bottom bracket. Size-scaled Tubing - Increases tube profile dimensions in proportion with frame size. 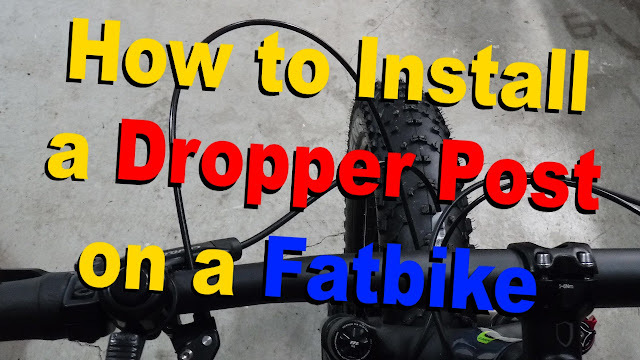 This ensures that a heavier rider on an extra large frame will experience the same ride characteristics as a lighter rider on a small frame. Gravity Tune – Adjusts the front-centre/rear-centre ratio across all frame sizes, effectively optimizing geometry and rider weight distribution. 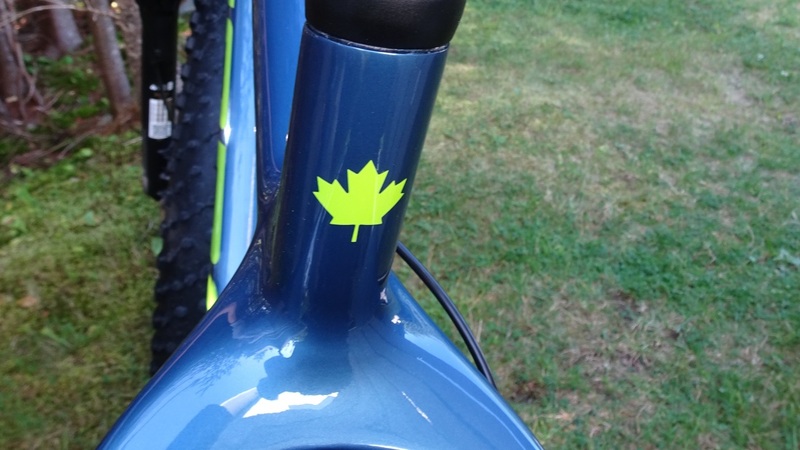 With its 69 degree head tube angle it slips into XC handling territory. On paper this would make the Ithaqua 2S handle a little better, corner a little crisper and climb a little higher. The seat tube is also a little slacker at 72.5 degrees which puts a rider’s weight a little more towards the rear of the bike. This would help when descending and provide a little more open cockpit. Unlike many other manufacturers, the chainstay length on the Ithaqua 2S varies based on the size of the bike (440 small to 448 xl). On the large version tested it measured 445 which is about mid-range (440 – 455) when looking at other fatties. Generally, a longer rear end will make a bike feel more stable when descending and keep the front end down when climbing. Shorter chainstays will make the bike feel a little more nimble. It appears Norco is trying to get the best of both worlds. 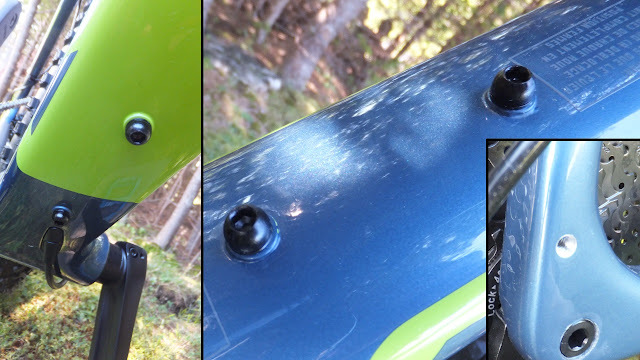 While the Ithaqua 2S has a relatively small frame opening, it does sport two sets of water bottle mounts . . . on top and bottom of the hefty downtube. If you look back to the chainstays you will also find additional threaded holes in case you want to run a rack. 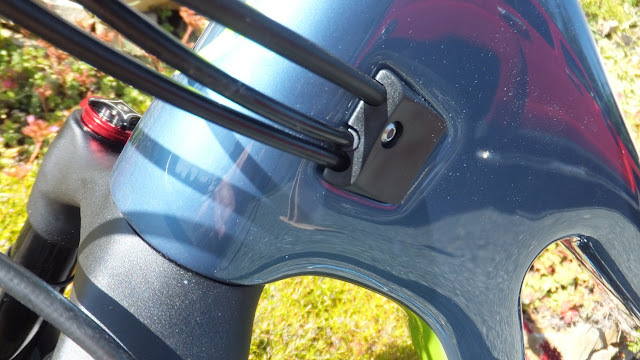 And the GIZMO cable routing keeps the exterior of the frame practically cable free. What makes the Ithaqua 2S stand out from the rest of the Ithaqua family sits directly under the bars . . . a Manitou Mastodon 100 Pro. Released in 2017 the Mastodon has been making its way onto OEM specd bikes and is available in several variations. The 100mm of squish can be dialled in by using the rebound adjustment on the bottom of the right tube and tweaked by hi and lo speed damping adjuster on the top. 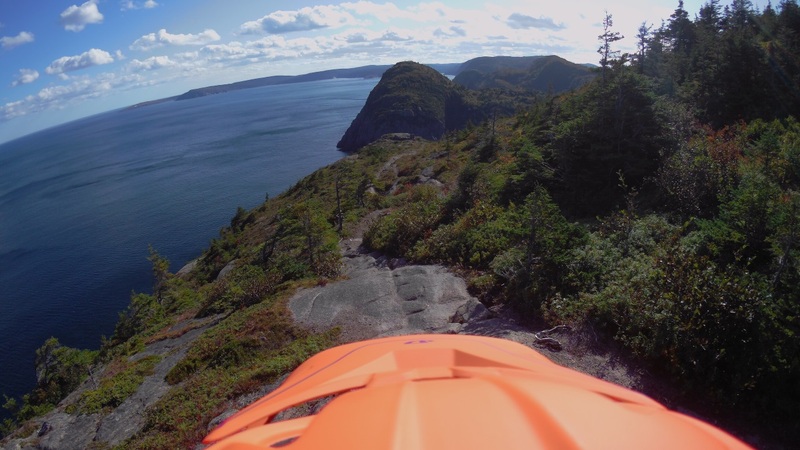 Air can be added/released from the inlet on the bottom of the left tube. Claimed weight is 2.21 kg (4.87 lbs). The Mastodon 100 Pro has an axle crown measurement of 511mm, sports 34mm stanchions and is reported to do well in cold winter temperatures. Keeping the tire spinning and secured to the fork is a Hexlock SL (15 mm x 150 mm) axle. The folks at Norco hand selected a combination of components from different manufacturers for the Ithaqua 2S drivetrain and brakes. 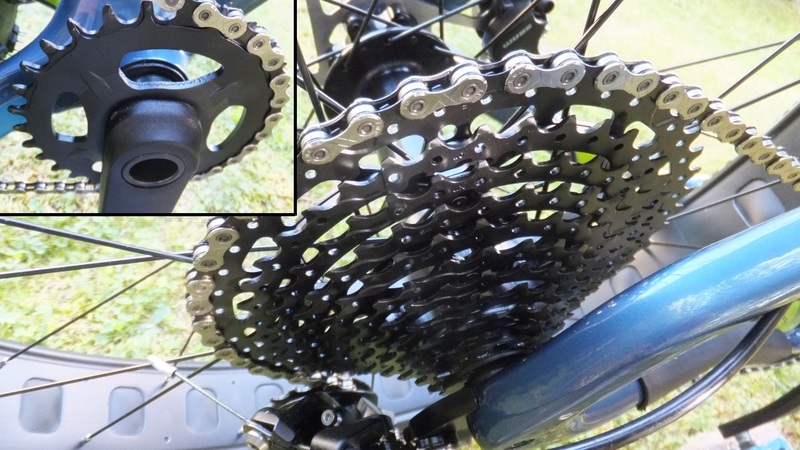 To get things moving is an 11-speed Sunrace cassette mated to a Samox 30T alloy crank. The gear ratio range is a pretty respectable 11/46 (11-13-15-18-21-24-28-32-36-40-46) with a low crawl of 1 x 0.65 (46 cog) and quick running 1 x 2.73 (11 cog). 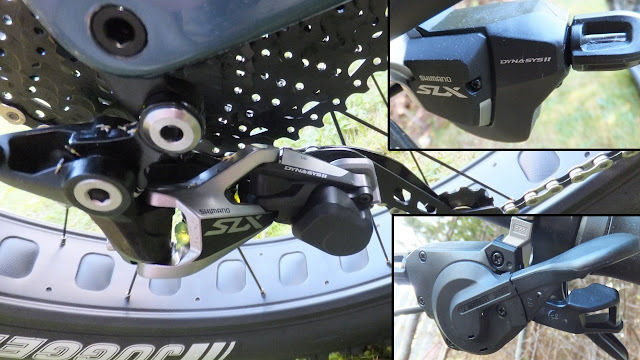 Shifting through the gears is a durable Shimano SLX M7000 Shadow Plus derailleur that incorporates features from XTR and DEORE XT. The clutch can be disengaged to allow for easy tire removal. 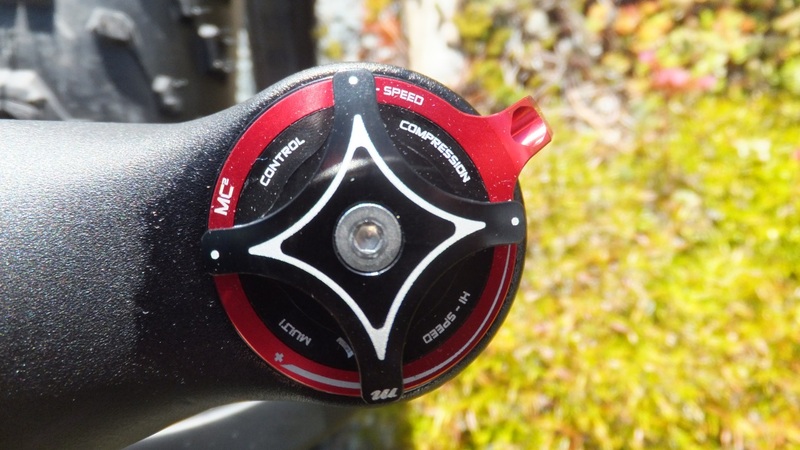 Up on the bars you will find a low profile Shimano SLX M7000 shifter. The longer levers decrease shifting effort and you can downshift three gears in one stroke, while upshifting with a push or pull. SRAM Level brake levers and mating twin piston callipers bring this carbon beast to a halt. 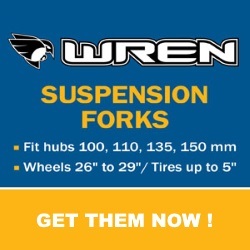 Rotors are AVID 180mm (front) and 160mm (rear). And the brakes are filled with DOT 5.1 fluid which should be less susceptible to extreme cold. Transferring the power to the ground are Kenda Juggernaut Pros. 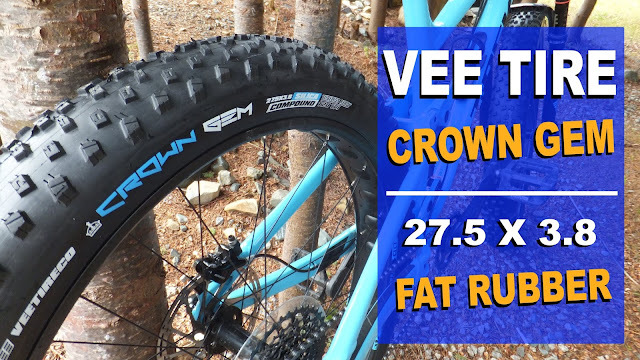 These 26 x 4.5 tires are tubeless ready, sport a dual tread compound with varying tread heights, weigh in around 1380g and are almost true to size at 4.31” wide. 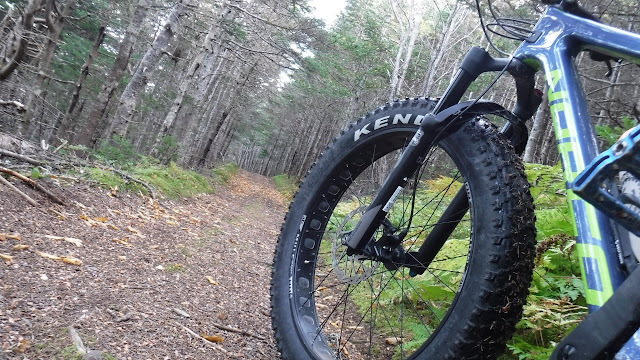 Inside the tire you will find Kenda 26 x 4.5/4.8 tubes that weigh about 520g a piece. The fat rubber is mated to alloy Mulefut 80 SL rims which spin on KT hubs. Hub spacing for the front and rear is the expected 150 x 15 and 197 x 12, respectfully. At the front end of the Ithaqua 2S you will find a Norco branded TranzX 6061 alloy bar. It measures a comfortable 780mm wide and is connected to the bike by a relatively short TranzZ 60mm stem. 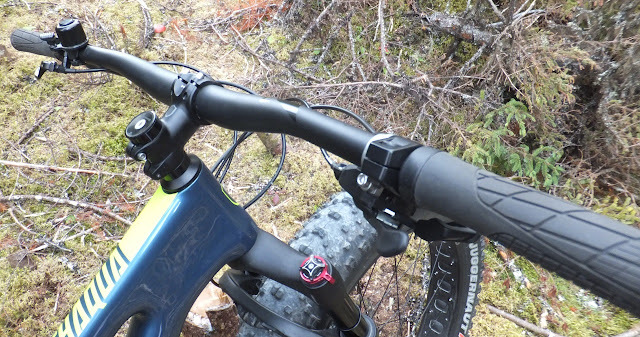 Two 10 mm headset spacers allow for some vertical stem adjustment while Ergon GA30 lock-on grips secure your mitts to the bars. For the second contact point Norco specced a black VP nylon flat pedal. 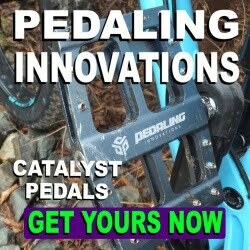 While probably not the first choice for many riders, it will certainly allow you to ride the bike before mounting up your favorite pedal. Rounding out the cockpit is an air actuated TranzX 125mm dropper post with a cable initiated thumb release mounted up on the left side of the bar. 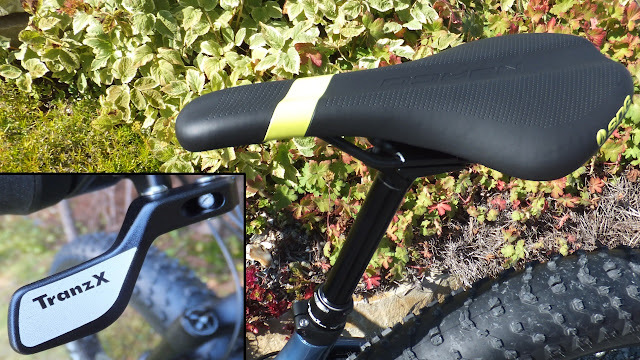 Connected to the dropper is a colour coordinated Norco stamped SDG Duster RL saddle. Enough talking specification . . . how does this beast ride! Having the Ithaqua 2S in the stable for several months I had to opportunity to spend a considerable amount of time on the bike in non-winter trail conditions. To get a better feel for the trails tackled check out the video. My immediate impression of riding the Ithaqua 2S is that this bike feels quick. I noticed this on the first ride and within a couple of pedal strokes. As the components and geometry on this bike is somewhat similar to my alloy white beast (2016 Sasquatch 6.1) I can only attribute this “snappy” feeling to the increased stiffness from the Ithaqua’s mid-modulus carbon frame. 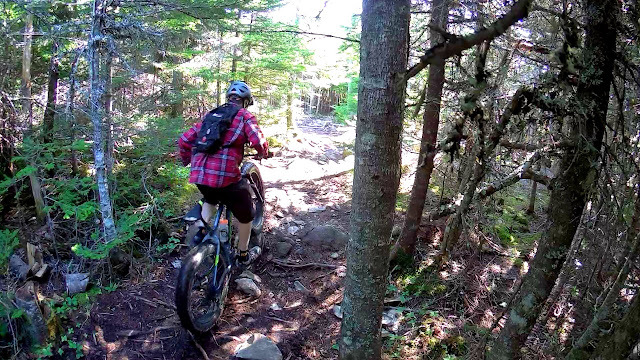 I discovered that the stiffer frame also made the rear of the bike a little more lively when hitting rock strewn trails at speed. Adjusting the rear tire pressure a little lower allowed more of the terrain to be soaked up by the fat tires. On the front, the increased stiffness allowed the Mastodon to cycle through its 100 mm of travel. I'll dig into the Mastodon a little later. The Ithaqua was exposed to backwoods exploration, mixed media gravel grinds, cliff hanging mountain bike trails, rustic hiking routes and unforgiving non-flowy boulder strewn goat paths. 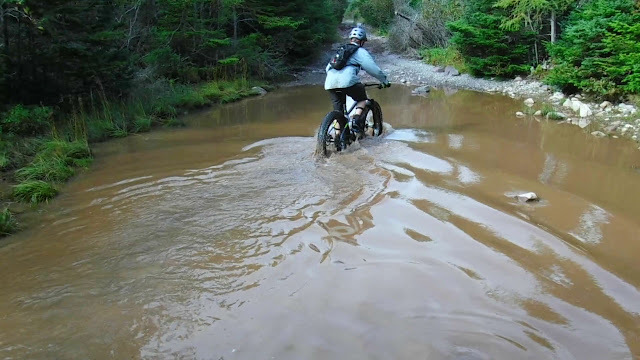 Trail and environmental conditions ranged from bone dry to uncomfortably wet. It was no Sunday drive for the Ithaqua 2S. 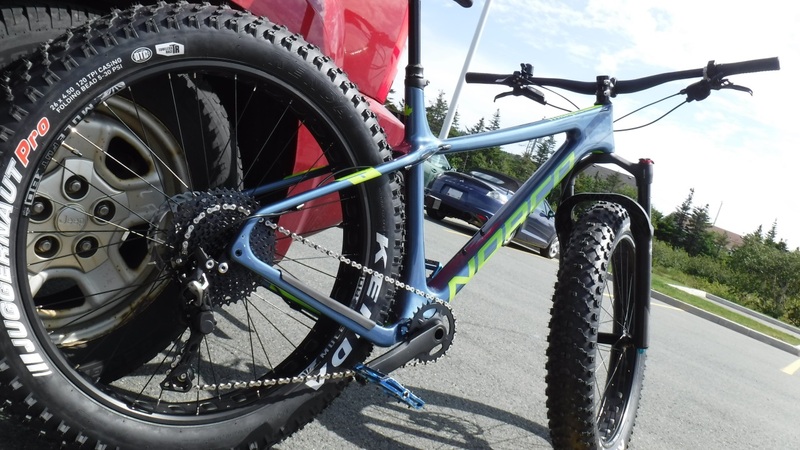 Norco really did its homework with the geometry on this bike. The XC inspired headtube angle, coupled with the mid-range chainstay length and slacker seat tube angle made the Ithaqua 2S feel really quick and agile. 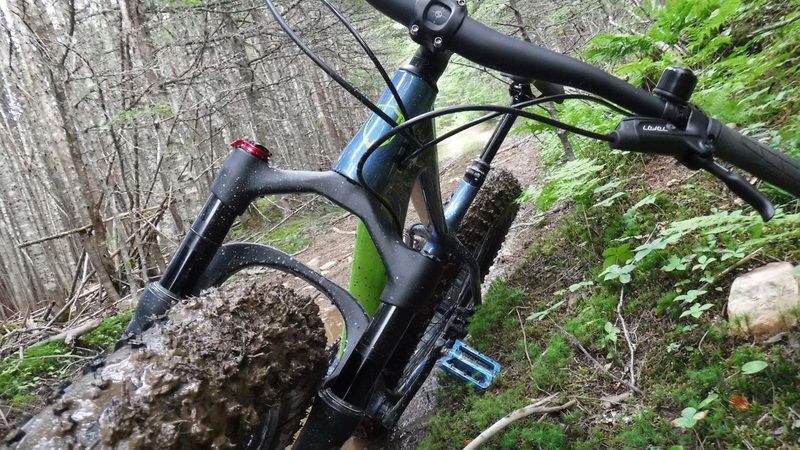 There were no unnerving “over the bar” feelings when descending and the front tire stayed planted to the dirt with minimal body english when climbing. The Ithaqua 2S also feels quite at home crawling over and through rocks, ruts and roots and exploring uncharted territory. This bike just feels right. 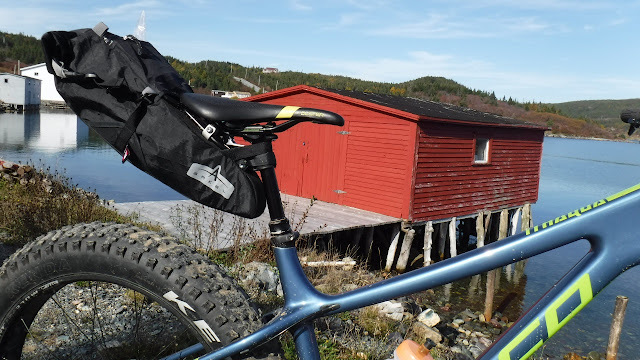 Although I did not have the opportunity to do an overnight bikepacking trip, I did head out for a day trip sporting a weighty seat bag. With the proper bag setup the Ithaqua 2S could also make a pretty decent bikepacking machine. When returning from any ride, I normally grab a bucket of soapy water and sponge to make sure my bike is all clean and pretty for the next ride. While carbon bikes may be a little more prone to scratches, I did notice that the Ithaqua 2S cleaned off super easy with minimal effort. The SRAM Levels did a superb job of slowing this fattie down. There was no fade after extended use and no unexpected lock-ups as the cylinders provided good feedback to the brake levers. Water and mud dunking had minimal impact on the performance of the brakes. And if you need to lock up the tires for an emergency stop, or drift through a gravel corner, these brakes will fit the bill. The drivetrain blend of Shimano, Samox and Sunrace may seem a little unconventional, but it works quite well. I love the dual action upshift (push/pull) of the SLX shifter and the fact that you can drop several gears with one stroke. This is especially useful when you unexpectedly get caught in a higher gear and need to downshift fast. 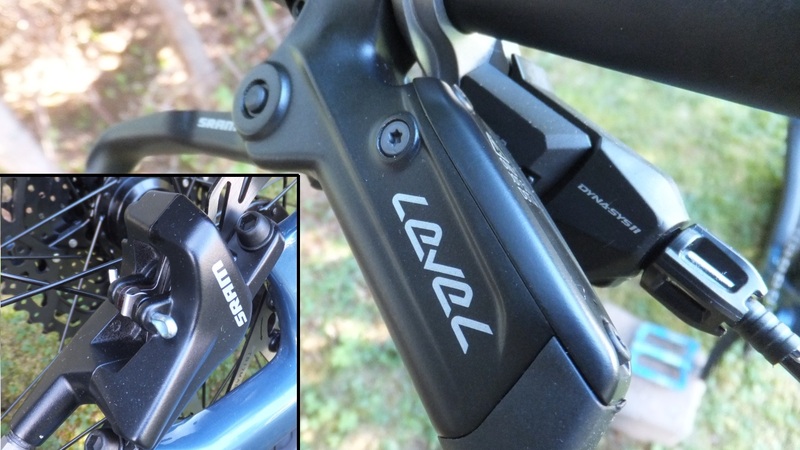 The SLX derailleur is reliable and did not miss a shift. Well . . . except for the time the rear drive side of the Ithaqua smashed a large rock. A quick trip to my LBS to replace the bent the derailleur hanger and it was back up and running like nothing happened. The 30T chainring combined with 11/46 cassette provided quite a respectable range of gearing. I felt the 30 x 46 did provide enough low end torque for climbing and low speed maneuverability and the 30 x 11 did move the Ithaqua 2S along quite quickly. The Juggernaut Pro 4.5s worked surprisingly well at mid psi (8-9) on wooded trails and high-psi (14-15 psi) riding hard packed. They gripped well at lower pressure and rolled fast at higher pressure, but I did observe that were not super happy on off camber wet situations. I did swap in a set of Surly Nate 3.8s for a short time to see how the Ithaqua 2S would react with a narrower tire. It did feel a little more agile, however there was a slight trade-off in stability. 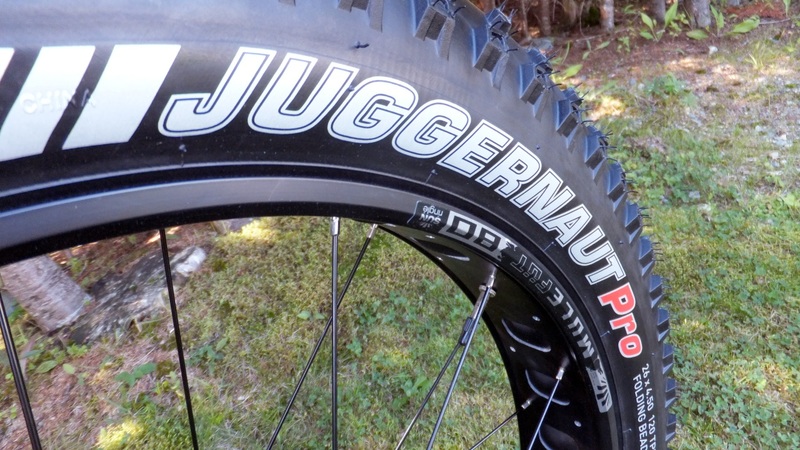 The Juggernaut Pro 4.5s effectively split the difference between a 4.0” and 4.8” fatbike tire. The cockpit on the large sized Ithaqua 2S fit my 5’11” frame quite well. The longer 780mm bars combined with the 60mm stem made turning and climbing/descending very natural. 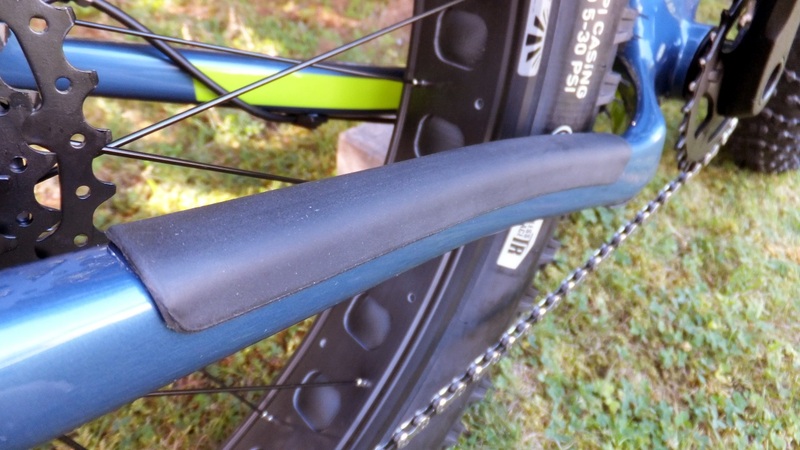 In most cases the grips and pedals are the first items on a bike to be replaced, but the Ergon GA30s are actually a pretty decent grip that stay in place and are comfortable. 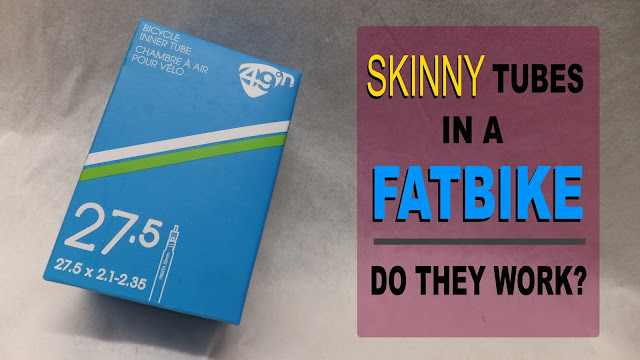 Unfortunately, the VP nylon pedals do not have the stickiness that many of us need when getting serious on our fatties and were swapped out for something a little more aggressive. The real star of the cockpit is the TranzX dropper post mated to the SDG Duster seat. Press in on the lever, sit on the seat (to lower the post) and press lever again to bring the seat back to its original position. I never knew how useful this was until I tried it on the Ithaqua 2S . 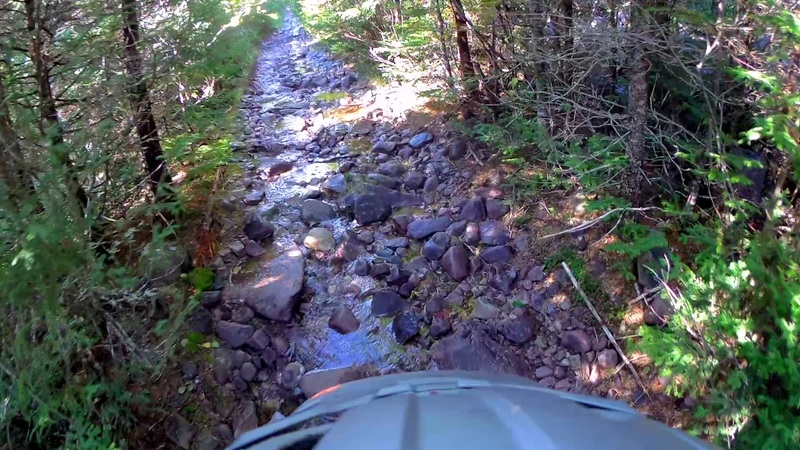 . . no more getting smacked on the rear when descending rocky terrain. While the lever could be a little more robust, it did operate at 100% and there were absolutely zero issues with the dropper post. Rounding out the cockpit is the SDG Duster seat. It was quite comfortable for both short and longer rides and did not rub or place any undue pressure on the lower extremities. It’s also rather stylish with its color keyed logo. Now . . . back to the fork. I followed the Manufacturer’s Setup Guide for recommended spring pressure (PSI) and adjusted the rebound to one click past mid-range (click 6) and hit the trails. I played with both the hi-speed and lo-speed damping considerably over the duration of the trail test review. Maxing out both would effectively “lock-out” the fork which was great for gravel grinds. From the video you can see the actually types of terrain tackled and in the majority of cases I found that a mid-range setting for both (high-speed 3 low-speed 2) worked quite well. While the Mastodon is a little on the portly side at 2210g when compared to the Wren at 2140g and the Bluto at 1840g, it performed very well on the Ithaqua 2S. The hefty 34 mm stanchions practically eliminated any noodley type feeling associated with other forks. The Hexlock SL axle attaches from the brake side using a “keyed” hexagon in the fork and a 6 mm hex key. 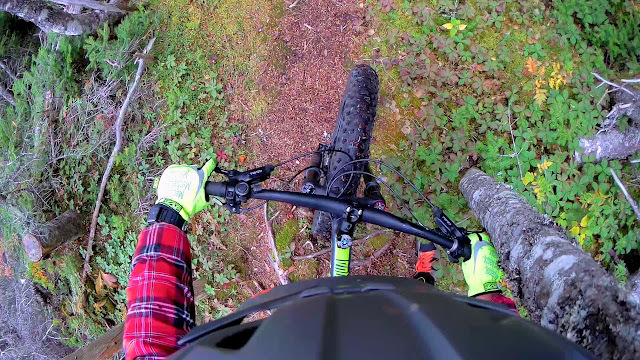 While I did not hit any massive jumps or drops, I did subject the fork to stressors that one would expect to tackle on a full suspension bike. 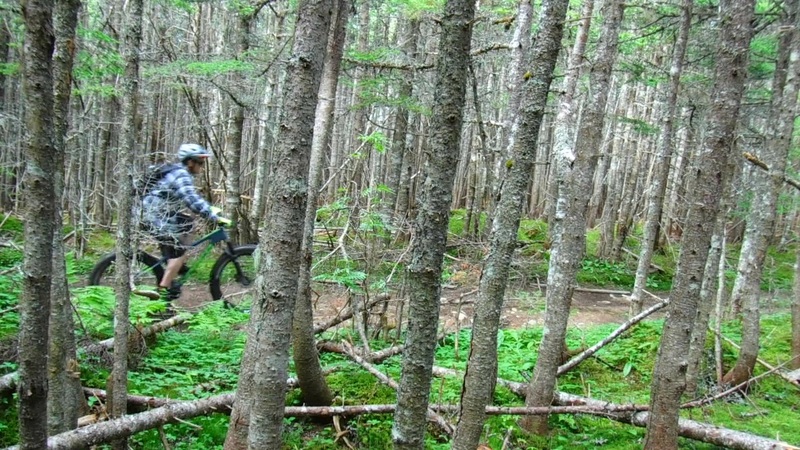 It seemed like whatever trail I rode the stanchion o-ring would finish the ride about ¾ up the tube. The Mastodon did not moan, groan or complain . . . did not bottom out and was very stable. 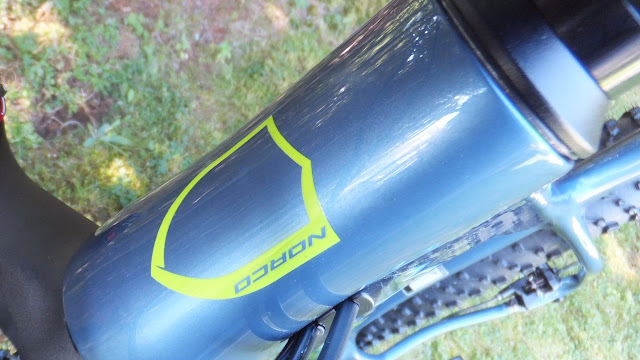 Norco did a great job in specing this fork for fatbike trail riding. 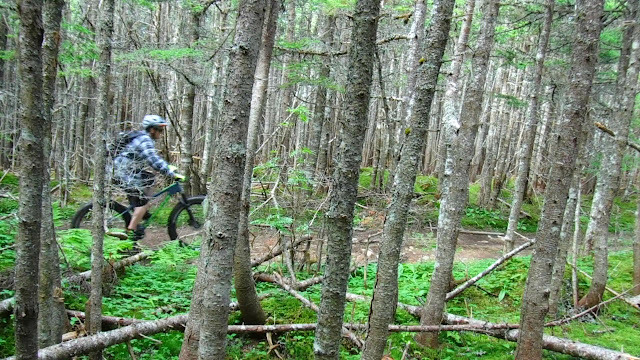 Fatbikes were originally minted for winter use, but as the sport has grown more and more people use them as multi-season bikes. 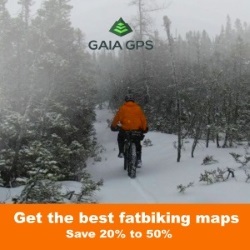 Still, there are some folks who put them in storage when the snow melts believing that a bike with lesser girth would be better suited as a trail machine. 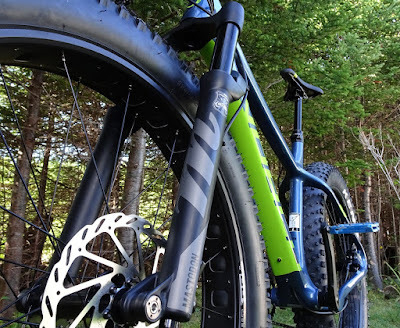 The Ithaqua 2S can easily hit the trails with any regular hard-tail bike, and tackle most places you would normally ride a full-suspension. Any actual or perceived difference in speed is more than made up for with increased traction and stability. The 2018 Norco Ithaqua 2S is first and foremost a fatbike. 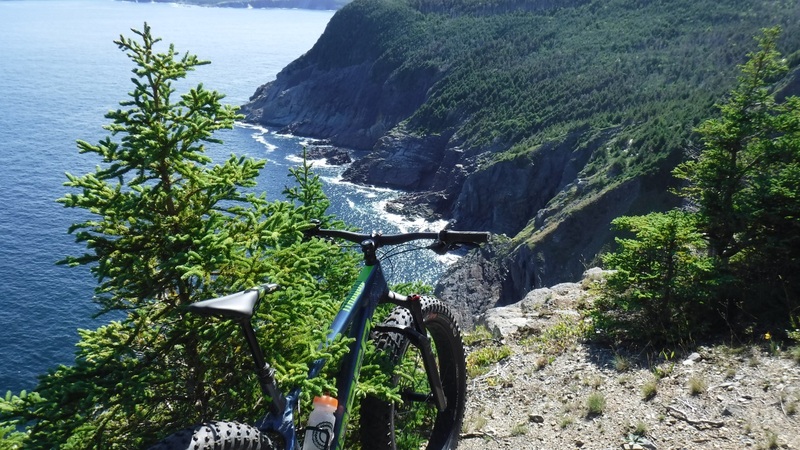 However, its XC inspired carbon chassis, durable components and suspension fork it makes one heck of a trail bike. Stay tuned as Fatbike Republic releases the Ithaqua 2S into the winter wilderness.